← Jupiter in Scorpio, astrologers and Prometheus – a cautionary tale.. This entry was posted in " 01: Astrological Journal UK: Not the Astrology Column " (8 articles), Pluto enters Aquarius in 2024: some thoughts on a major step in 'boldly go'-ing... and tagged Astrology, horoscope, mundane astrology, Saturn/Pluto aspects, UK's Astrological Journal. Bookmark the permalink. I will need to give this some thought, AQ, and reply in more detail tomorrow ! Hi Anne, your post discussing the 2020 Saturn-Pluto conjunction has encouraged me to give new thought towards the movement of these planets which carry the potential for great personal progress in my own chart, particularly with natal Pluto in Leo on my MC (you know, the me-generation of eternal youth, the ‘self-absorbed’ generation). Thank you, and as you suggest, I expect to have to fasten my seat belt for this ride. And then the conjunction of Jupiter-Saturn, for me a pair of combatants turning stablemates at the end of 2020 which should be particularly interesting as they are naturally at loggerheads in my horoscope. Although conjunctions are signified as difficult aspects, I personally experience the combined energies at a level of interdependence, complementary principles working together for my greater cause when I consider the integrity of the chart as a whole. But this week I have been caught up in the indications of the total lunar eclipse on January 31st at 11LE37 which will influence my natal MC/Pluto and associated aspects, and turn my attention to the lunar eclipse at 11LE20 on 31st January 1999 according to the 19 years Metonic cycle. My only child was then four years old. This proved to be a most sensitive and major time of huge emotional change in relocating my temporary home office back to my business office when my daughter began kindergarten, seemingly disconnected and far away. I felt I had been eclipsed. I was 47, struggling to intellectualise how my Aquarian Sun-Moon could find identity in motherhood when challenged by a Pluto in Leo on the MC. This powerful planet had been hell-bent on transforming my professional role in society over 27 years – not an easy challenge, sometimes dark and ruthless, a planet notorious for working underground – and all the while consciously being reminded that you can’t go back with Pluto. I believe that the day my beautiful creative Taurean daughter was born is when my initiation process as guide and mentor truly began under the influence of Pluto, somewhat earlier than the usual later years of one’s life cycle. In 1999 that January penumbral lunar eclipse brought about tough changes. I am not so certain that I can say I am ready for the upcoming total lunar eclipse on the 31st, although energies to do with self-reflection are beginning to surface. Today I awoke to my standard ritual – scan the curtains for evidence of first light, squint at the bedside clock in the stillness, glance down at Princess and Jasper waiting for sure signs of breakfast pending, groan quietly if sleep has been restless, alight quickly to shuffle through the hall to prepare that first espresso (such a nurturing aroma), then turn on the laptop at the kitchen table to interact with the greater world. No doubt I live alone, that is, apart from Princess (a mutually befriended, yet calculating ex-feral feline) and old Jasper, an affectionate, blue-eyed Rag Doll, a breed of cat which is guaranteed to faithfully flop into your arms. My day’s plans can easily be reshaped by the unexpected arrival of Mercury; no matter the form he takes he is instantly recognisable as a carrier of useful information. Forget about the caduceus, for me it’s all about the winged feet (metaphorically of course) which means that new knowledge to articulate is being swiftly delivered to my door (Inbox) at the most auspicious times. Mercury is the mythological brother of Apollo and is aligned with the Sun in the heavens. Anne, I notice that your post was written on the annual return of my Aquarian Sun, January 27 – how magical is that! This artful traveller first arrived on the cusp of my 3rd house at birth. So, back to the Jupiter-Saturn topic. The qualities of my Sagittarius Rising in action can truly exhaust me at times. This instinctively tribal half-horse, half-human Centaur incessantly on the roam in search of truth and wisdom can truly lead me astray when I break from the pack. It is at this point of depleted energy that I pull up and contemplate the role of Sagittarius’ planetary ruler, Jupiter, overseeing my chart in impatient Aries from the 5th house of living. When my Jupiter flaunts the potential to expand his vitality, he tends to scoff at caution and limitations which manifests for me in the ballooning of a headstrong will to jump into situations – ‘take a chance’ he says, ‘bigger is better, don’t look now – look later’. The problem is that balloons can either burst or deflate which is capable of evoking energies likened to those of childish disappointment – or much worse – losing faith in one’s philosophies. Yet unpredictable fires can burn furiously in the early degrees of a Sagittarius Ascendant with flames leaping out of control at 01SAG09. Inspiration is the fuel thrown onto this fire, igniting my aspirations to search paths of discovery – to explore the most enlightened horizons of life. It is here I have stood many times in awe of a deeper vision of my worldview, my beliefs, in moments of understanding that there is a need to project my self-awareness into the world. As individuals we each express our innate creativity in different ways. In my lifelong process of becoming I have learned that my 5th house carries a signature which symbolises a great need to reveal my creativity in a way that can be gifted to others and expressed as a sense of joy in seeking to identify myself with metaphysical doctrine. And the planet(s) urging me to counter-balance the weight of this emphasis? An 11th house Saturn-Neptune conjunction in Libra. Saturn can be restrictive with his lessons of life about the here-and-now, but Saturn in Libra is fair in that I will always be urged to reconsider and/or review my work, I can go back and look it over during the retrograde period of a transit. It is here that I can stabilise my understanding of the big picture of the 5th by the grace of Jupiter, and with a heightened sense of awareness that visionary Neptune allows me to experience, as one might expect, as a fairytale romance. My Neptune in Libra, an air sign, is deeply compassionate when it comes to the Lord of Karma, when Saturn can express a sensitivity to other people which manifests in me as an innate fear of social failure. P.S. 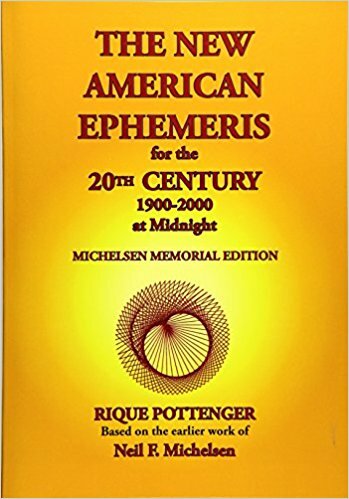 I love your story about the ephemeris. What a wonderful exegesis on your life through the astrological lens, Page. I hope you already write a blog,..or are contemplating doing so. You should! Truly interesting times lie ahead…and no doubt much will be written as we go. But we can all contribute, by sharing our life stories as the years to come unfold with all their challenges and gifts. Perhaps I should have torn 1993 out of my ephemeris too :). Like you I was born under a SA-PL conjunction, and I too found the early nineties challenging, to say the least. Your post prompts me to have another squint in the rear view mirror. 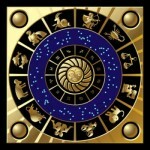 When it comes to astrology, hindisight is a wonderful gift! Yes, great read, and oh my what a topsy turvy time it was for me with the transits of Uranus and Neptune conjunct my Mercury. Pluto making last square to my Sun. It ended up with me inheriting a house [last Neptune hit], selling it within a month of inheriting so never seeing inside it cause I sold to the renters who had been there for years. I also noticed a house on the Bay of Fundy for sale. That is Nova Scotia and I was on the West Coast of Canada. I bought it sight unseen, realized I needed to learn to drive and get a vehicle to make the cross country move; got an old van, learned to drive it in two weeks and packed up and way we went. Dog, cat, six year old. LOL. That is Neptune for you. We lasted five months before almost freezing to death, packed up the van with a blizzard on its way and took off for the west coast. We made it. I figure I must have special angels working overtime on me because I have had the wildest escapades and come through them. I don’t feel as brave anymore now. Yes, Morgana, I know that feeling – I was much braver, and much more foolhardy, when I was much younger! Great read! I’ve marked down Saturn Pluto conjunction on my calendar in the 90’s after Uranus Neptune conjunction to my 22 deg DSC in Capricorn! That was my worst time when my mother had her first stroke in Dec 93 and then died after her second stroke in Nov 94. I felt like a true orphan even though we lived thousands of miles apart. 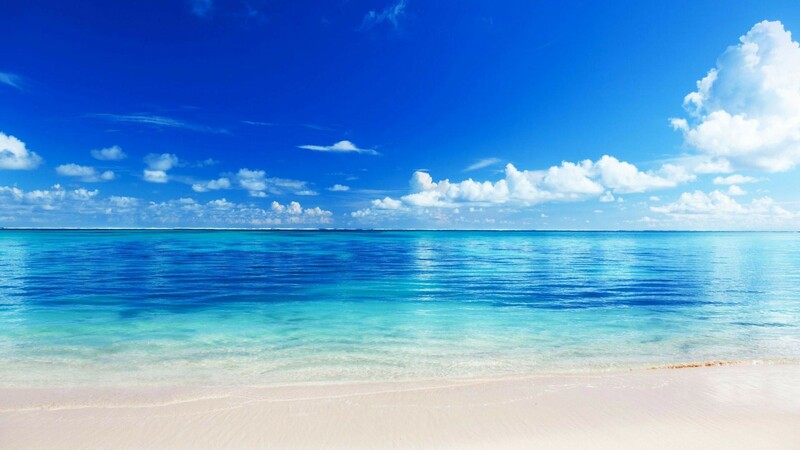 Echo the sentiments…life changing events. Thanks, Silke, getting your and other people’s feedback is brilliant – puts flesh on the bones of symbolism! 1993, my year from hell! Once a month a friend died unexpectedly, my daughter had an internal spinal cord injury causing paralysis from her chest down, her father had a fatal heart attack right in front of her, my rental house of 11 years sold while she was in the hospital and caught on fire. And that’s just a brief summary. My chiron is at 21 degrees Cap involved in a grand square with 5 planets. Indeed, Nancy. see my reply to Rosie…those of us whose charts linked with the Uranus Neptune conjunction degrees during 93-4 also had a very tough time…your situation sounds particularily grim. I loved January 1993, my first baby was born! I have great hopes for the generation just reaching the age of majority ie born from 2000 onward (I think they’re called the i-Gen). They’re much more environmentally aware than any that’s gone before and they care about what’s going on in their communities.